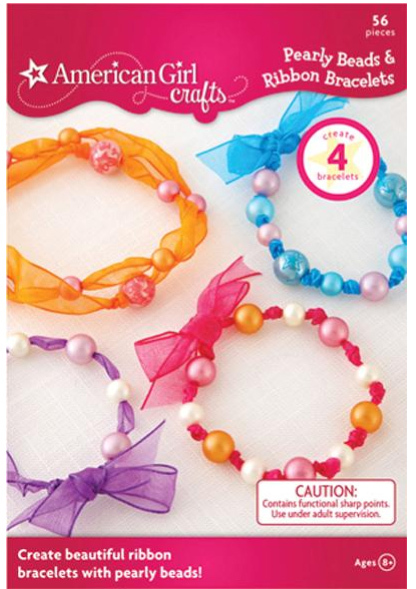 Approximately 75,000 Pearly Beads & Ribbon Bracelets kit distributed under the American Girl Crafts are being recalled due to the surface coating on some of the beads contains excessive levels of lead, which is prohibited under federal law. The beads in the jewelry kit are pink, blue, orange and white. Some pink beads have darker pink butterflies imprinted on them. The ribbons in the kit are orange, red, blue and purple. The kits were sold at Michaels Stores and other retailers nationwide from September 2009 through June 2011 for about $8. Consumers should immediately take the recalled kits and any finished bracelets made from the kits away from children and contact the company, EKSuccess Brands for a full refund. Click here to read the full report for the American Girl Crafts bracelet kit on the U.S. Consumer Product Safety Commission’s website.